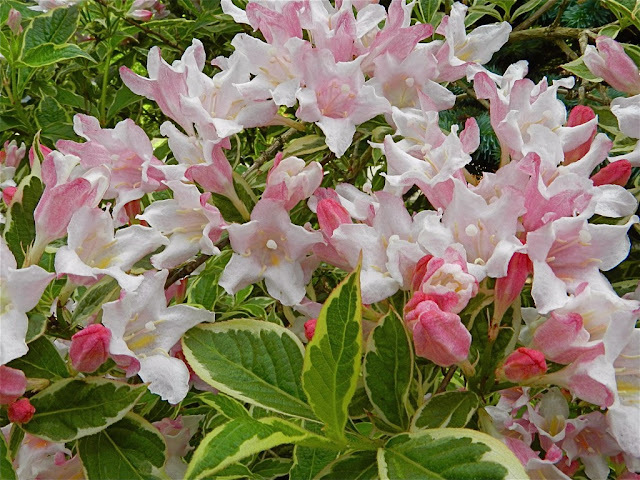 Named after the German scientist Christian Ehrenfried Weigel (1748 – 1831), Weigela species and cultivars are a genus of hardy deciduous flowering shrubs. Most notable of these are Weigela florida 'Foliis purpureis',Weigela florida 'Variegata' and Weigela praecox 'Variegata', all of which have gained the Royal Horticultural Society's Award of Garden Merit (AGM). They are amongst the most popular of early-summer flowering shrubs, although many of the species have now been superseded by the named garden cultivars. During May and June they produce small, foxglove-like blooms in clusters on the previous season's wood. 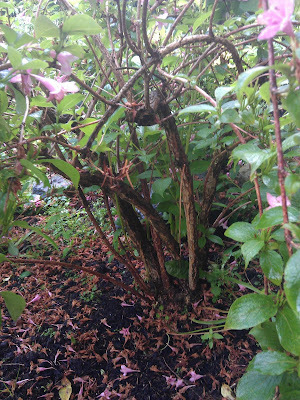 Weigela should be pruned each year directly after flowering. Remove just one or two of the old stems on younger plants and between 10-20% of the old growth on larger specimens. When pruning your chosen stems, remove each one back to ground level. Under favourable conditions, mature specimens can reach a approximate height and spread of between 2-3 metres. So if you are just want to control their size then cut back by one-third each season. Again this should be addressed immediately after flowering. On old specimens that are losing their ornamental value, remove no more than one-third of the old woody growth. Repeat this over the next couple of years to effectively rejuvenate the plant. 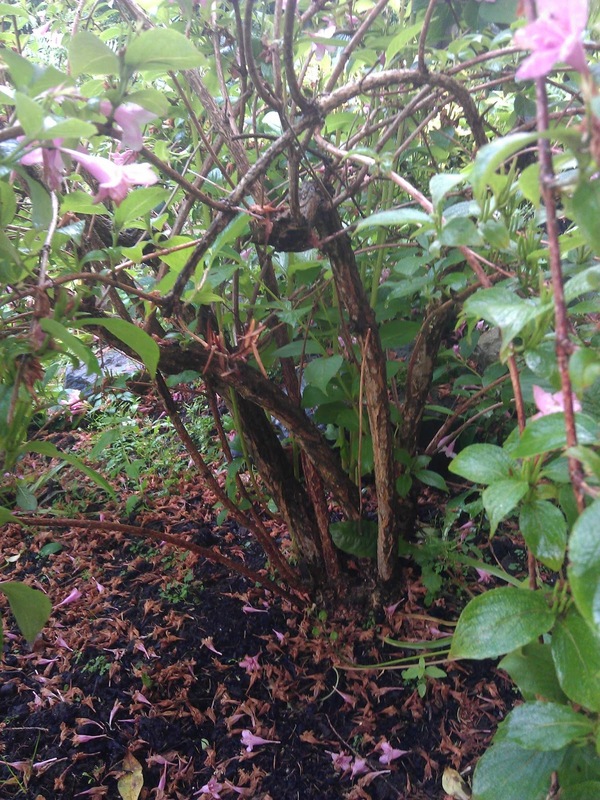 Be aware that such drastic pruning can cause your Weigela to not flower the following year.